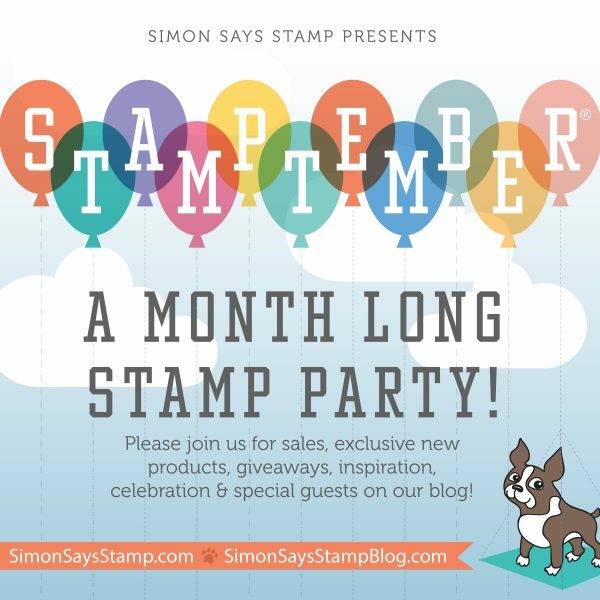 STAMPtember® is a very special month on the Simon Says Stamp calendar and this week we are showcasing some of the latest STAMPtember® products. 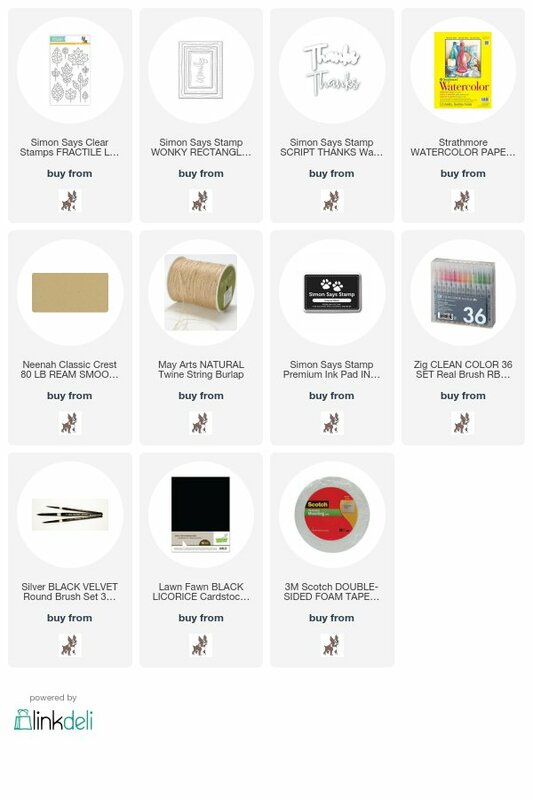 You may not yet have any of the new products but we would appreciate you using Simon’s Exclusive Products if you have them, although it isn’t necessary to join in with the challenge. Did you see all the new STAMPtember® goodies released? They are so awesome and exciting. I am so thankful for Simon Says Stamp for sending me some of the new release products to play with. 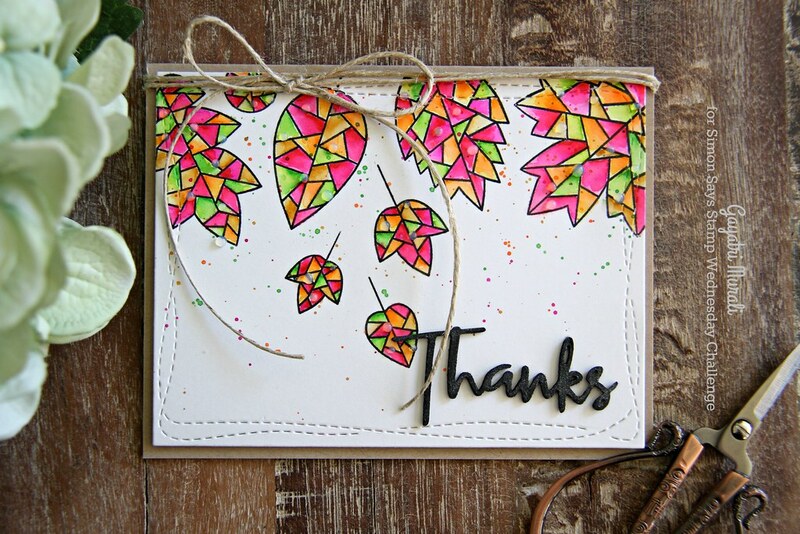 Today I have used one of the new set called Fractile Leaves stamp set to make my card. I stamped the leaves on a wonky stitched rectangle watercoloured panel and watercoloured rich autumn colours using Zig Clean color pens. I then spattered the same colours on the panel and also added some dew drops using glossy accents. 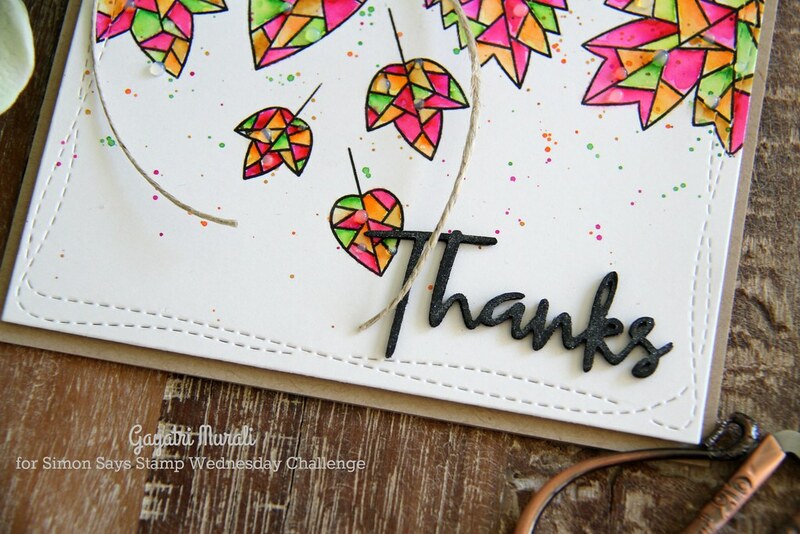 The sentiment is also from Simon Says Stamp One of a Kind release. I die cut the sentiment a few times, stacked glued for extra dimension and adhered on the panel. I also brushed the sentiment with clear shimmer. To add to the rustic autumn feel to the card, I wrapped jute twine on top of the card with a bow. I love the stylised leaves. Great for colouring. Hope you like my card. If you like to link my card to your pinterest board, here is the pin for you. Thanks for stopping by my blog today. I will be back soon with another post. 🙂 This is a must have stamp set. Thanks Lorraine! 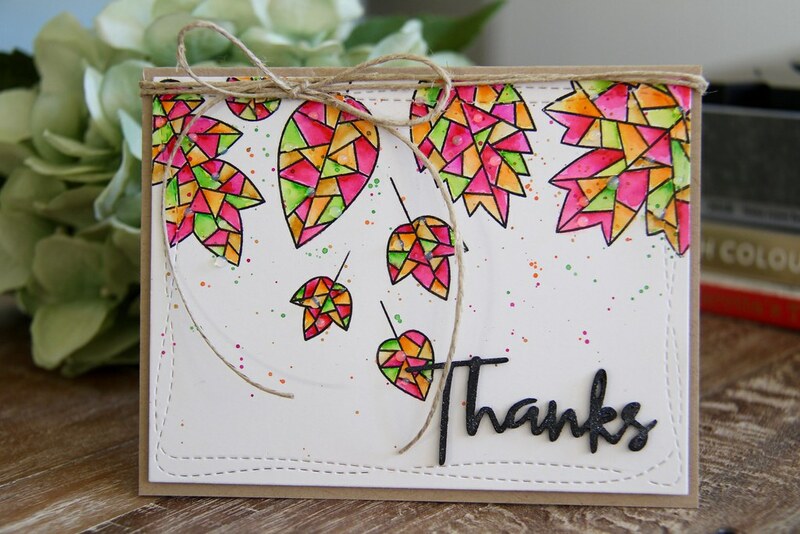 LOVE the pinks mixed into these leaves, Gayatri! Gorgeous way to show off this new set! 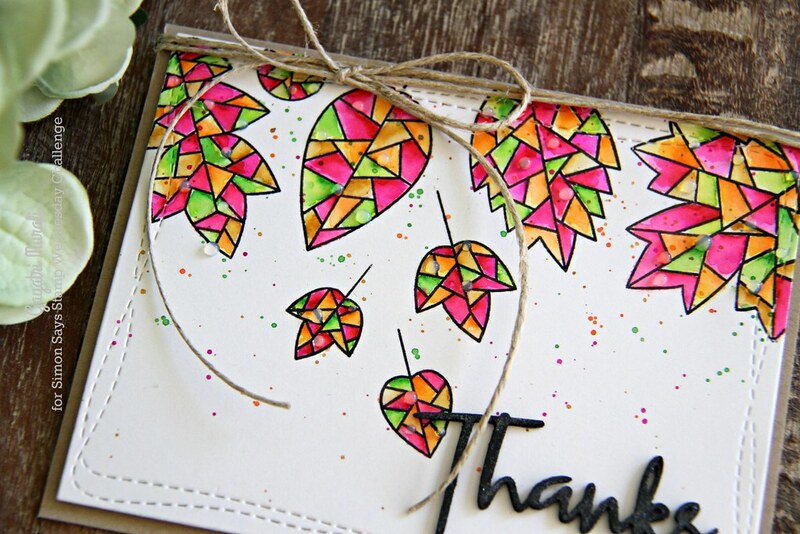 Wow, this is such a stunning look with the stained glass leaves! Love this card!